You must be able to prove that you are going to work or an interview and that you are in need of professional clothing. 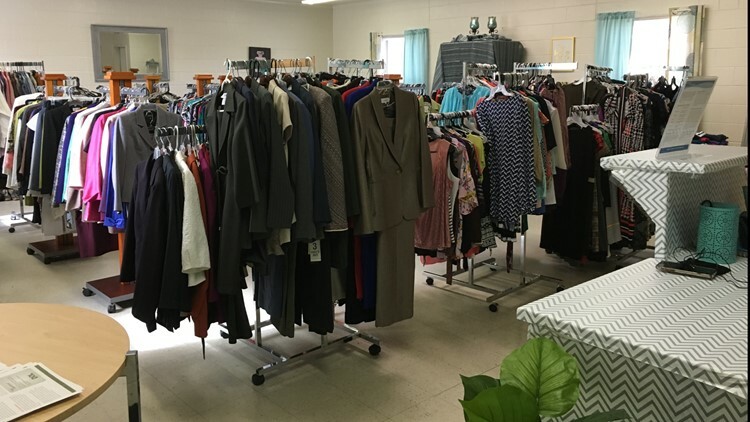 HOUSTON COUNTY, Ga. — The Warner Robins Housing Authority is offering a free shopping experience to the men and women of Houston County through its Upscale Clothing and Interview Closet. "We got the racks from Sears and we set it up like an upscale clothing closet," said Sharon Rogers, director of programs for the Warner Robins Housing Authority. She says the shopper must show that they are going to work or have an interview and need clothing. After that, they are able to pick out a limited number of clothes absolutely free. The clothing closet is located in Houston County across from Robins AFB. Rogers says they have several items ranging from shoes to purses, all the way down to jewelry to match your clothing if you prefer it. "We were really blessed and fortunate to receive these items," she said. This is the second year for the clothing closet, and Rogers says now they just want to get the word out in order to get a few more people in the door to take advantage of the opportunity. "We know that people do not have the proper clothing, so we take the worry out of that by offering the free clothing," she said. If anyone is interested in donating to the closet, they are always accepting any items. Rogers stressed that there is a current need for more hangers. The closet is open on Tuesdays and Wednesdays from 10 a.m. until 3 p.m. It is located in Houston County at 119 Appian Way, Warner Robins, Ga. 31088 across from Robins AFB.